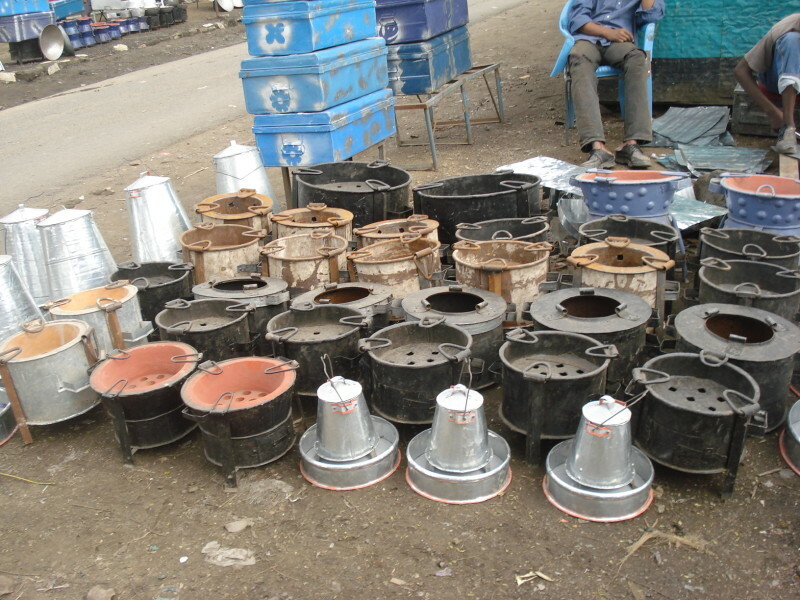 These are jikos – metal stoves that use charcoal – displayed for sale in the jua kali market in the town of Nakuru, Kenya. 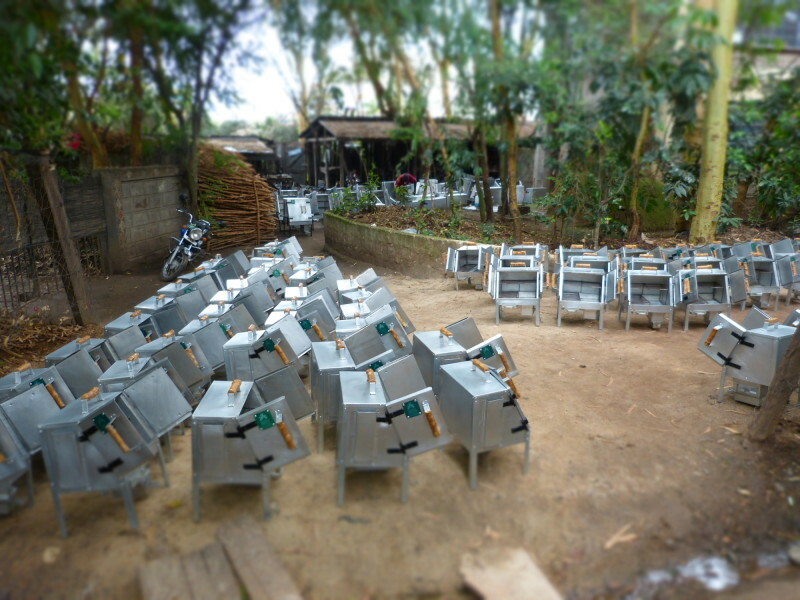 Made from scrap metal, using the most rudimentary tools, under conditions of resource scarcity, they are one of the everyday products churned out by the informal manufacturing sector. These are made of metal, as you can see, and are not very efficient. A couple of decades or more ago, Dr. Max Kinyanjui was instrumental in the development and dissemination of a simple yet impactful innovation – the Kenyan Ceramic Jiko (KCJ). 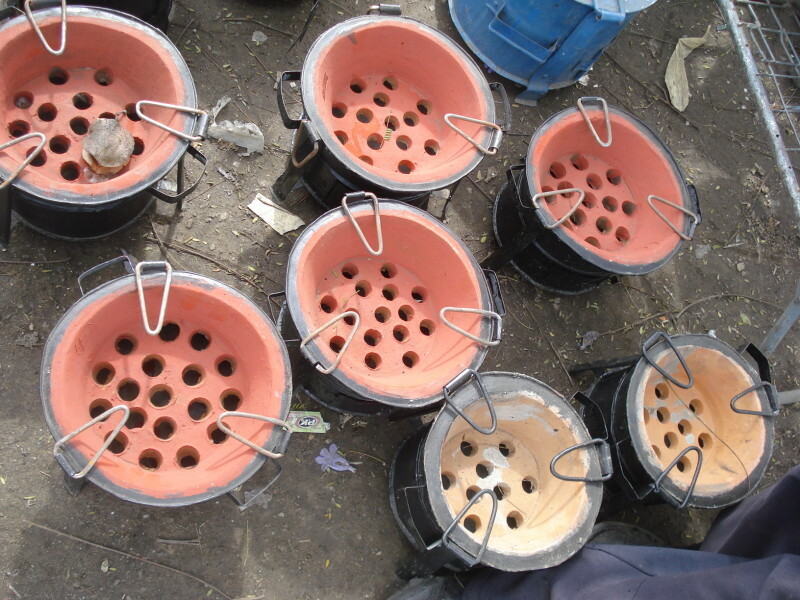 The KCJ is simply the traditional Jiko mated to a ceramic liner, producing a stove that is at least one fourth (and up to 50%) more efficient than traditional all-metal alternatives, costing only $2 to $5. The initial model has a distinctive shape, differing from the traditional cylindrical jiko, with the top and bottom the same diameter, tapering at about 30 degrees to a waist. 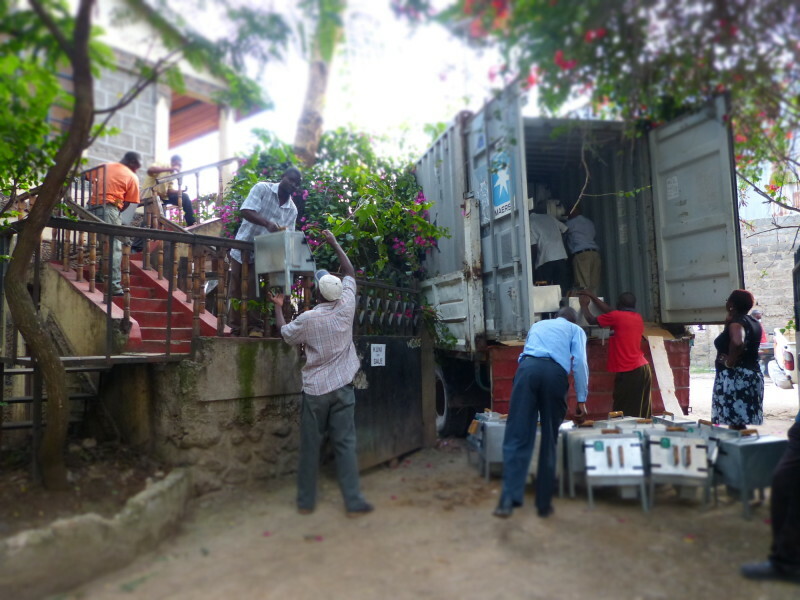 This energy efficient version is also available for sale throughout the East African region. You can see many variations on the theme displayed for sale in the photograph above. These products are unbranded and handmade by artisans across the country in makeshift workshops. There are no warranties or guarantees of quality or performance or even after care service. This is the informal trade ecosystem – spanning material supply, fabrication and sales. 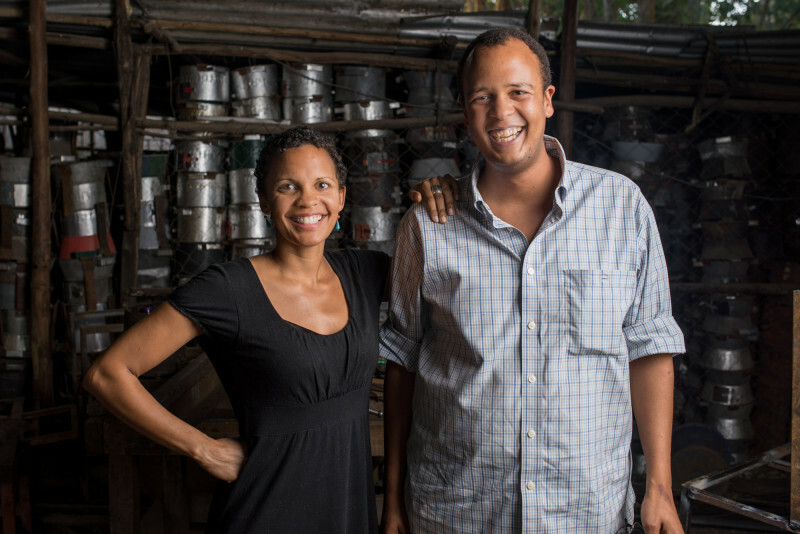 Recently, I had was able to connect with Teddy Kinyanjui, Dr Max’ son, and speak with him about the company he runs with his sister – Cookswell Jikos – just outside of Nairobi, Kenya. 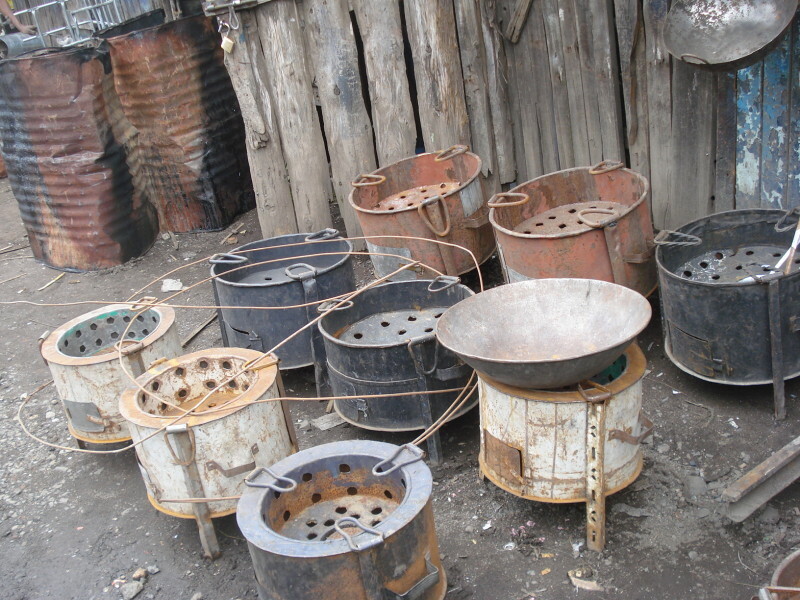 They manufacture and sell the energy efficient charcoal oven, ceramic jikos of course, and lately, innovative and inspired designer barbecues and space heaters. 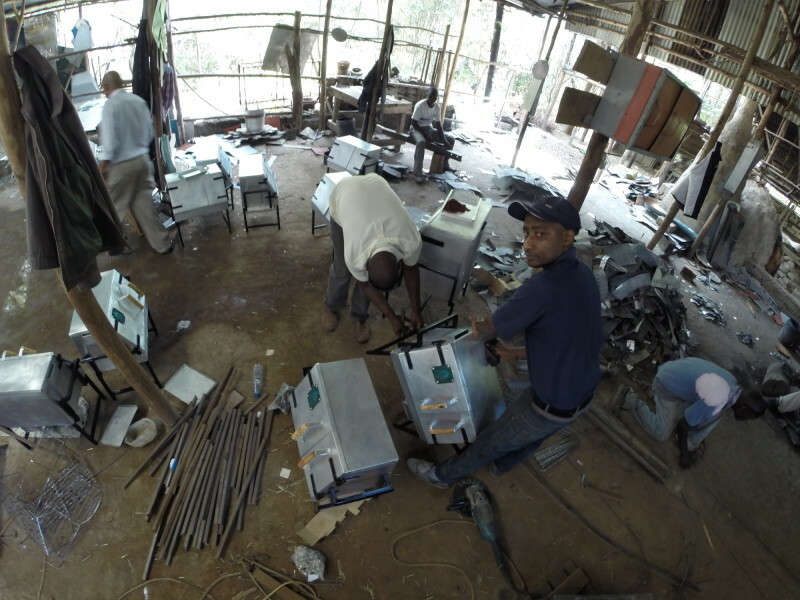 While I’ll probably be referencing again the extremely fascinating insights Teddy was able to share with me over the phone, in this post I’m going to focus on how Cookswell Jikos sets themselves apart as a reputable, branded manufacturer of products more commonly made and sold in the informal sector. Teddy says this is something they just don’t worry about. Of course the product design will be copied by the informal sector, its a given in the context of the market. In fact, he says, he’s more concerned if an innovation has not be copied within 18 months, as that’s a signal that there’s no demand for it in the market. 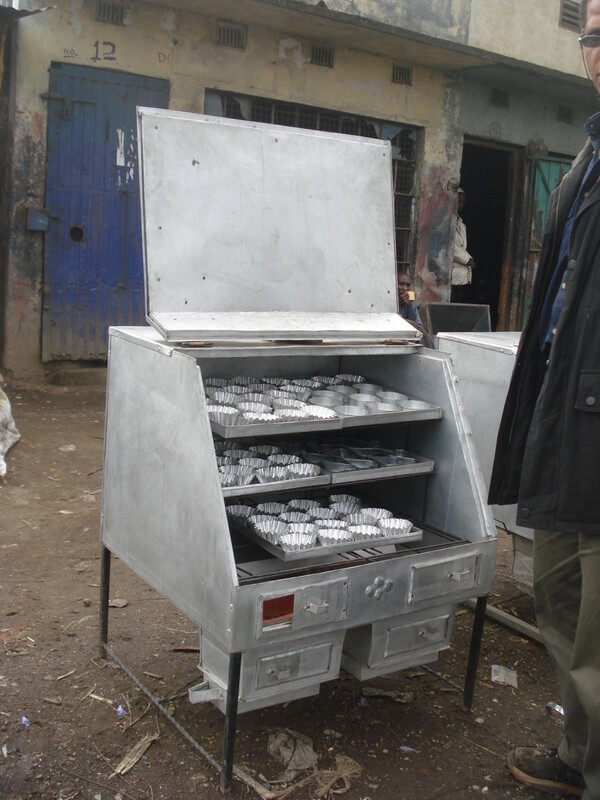 For instance, the energy efficient charcoal oven is something his father, Dr Max Kinyanjui, designed. As you can see below, something similar to it is on sale in Nakuru market. The difference, says Teddy, boils down to quality, durability, reliability and performance. And those who choose to purchase the more expensive branded original from Cookswell know that if there’s a problem, they’ll get customer service and repair on the spot. Its a business investment for an entrepreneurial bakery and the last thing you need is high energy costs when you’re a startup. This leads us to the second point, keeping trained artisans happy and incentivized. 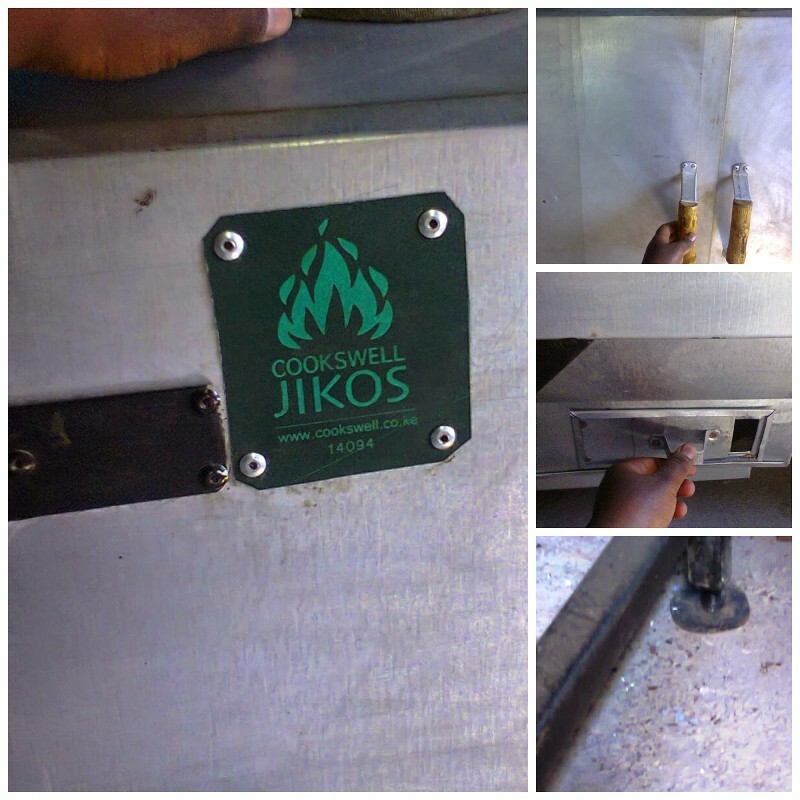 Cookswell Jikos does not employ their artisans nor do they run their operations like a sausage factory. Each artisan is an independent entrepreneur who works on their premises, being provided with the tools and materials, and is paid on their delivery of agreed upon piecework. 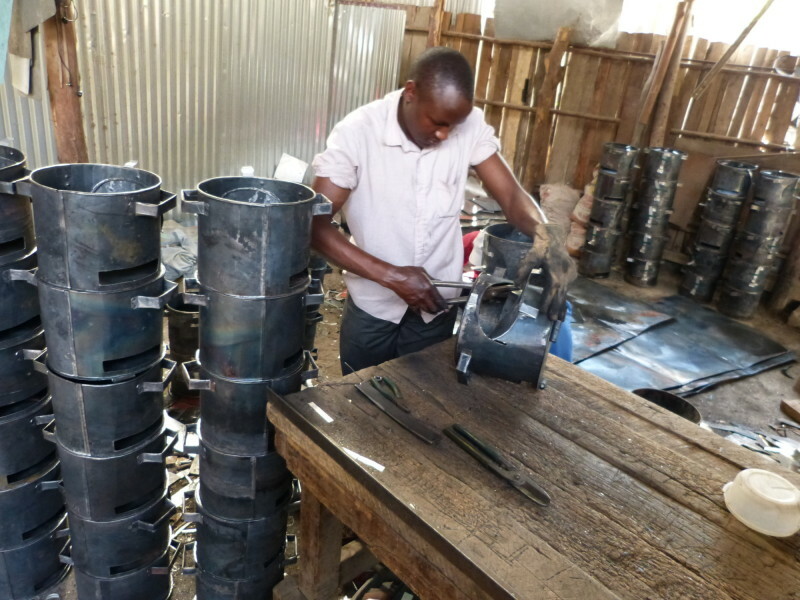 In the jua kali sector – over 70% of Kenya’s manufacturing is in the informal sector – workshops along the entire informal industrial ecosystem’s supply chain work in the same fashion. The guy melting down aluminium scrap to mould parts for an autoparts fabricator gets paid for batch production on delivery. However, as an incentive for quality work, which isn’t as consistently available in the jua kali sector, Teddy doesn’t pay them for any repairs or rework that might be required on their products. He’ll send them out to fix a problem on the spot and this takes time away from money they could be earning that day. Along with design and quality, timeliness of delivery is part of building a reputable brand. Cookswell’s customers know they’ll get their order on time and just the way it was agreed upon. Which brings us to the third key point in the way they’ve carved out a market opportunity in the informal economy – reaching new customers. According to Teddy, his efforts in branding and marketing Cookswell Jikos products have shown him clearly that there’s an economic emergence happening in East Africa, and much of this is reflected by the role of internet and the mobile phone. Where word of mouth and referrals would build a reputation and thus a brand, over time, now can happen overnight due to social media. He says more and more people find him online, through Facebook primarily and Twitter of course, and place their orders online. They’ve even had a guy in the Netherlands who purchased a container full of ovens. He said that this online activity was one of the very real indicators of the way people’s buying behaviour and purchasing patterns were changing. He’s also seen signals of the aspirational upward mobility and evolving values. 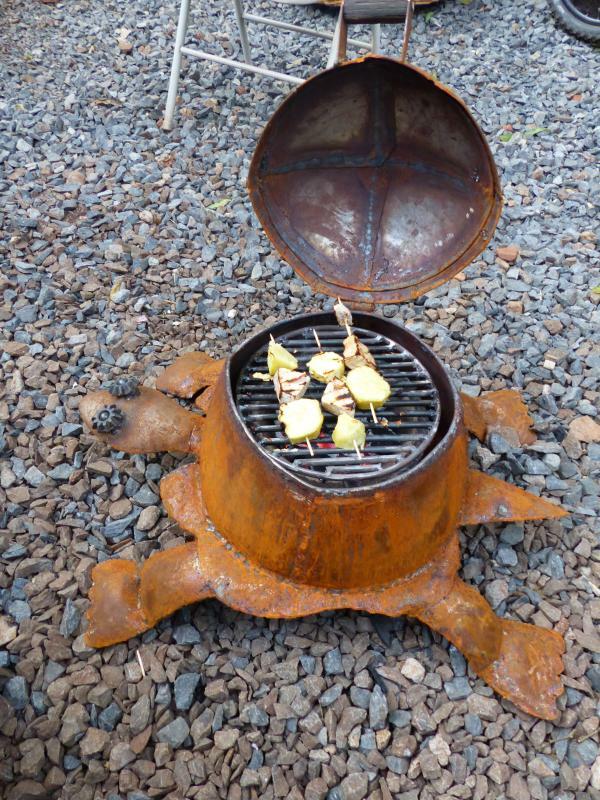 Designer barbecues in the backyard look cool yet still offer the same homecooked taste. Their product may look the same as the products sold on the side of the road by jua kali makers and perform the same function but their target audience and customer base knows the difference. They’ve demonstrated that its possible to build a thriving brand in a highly competitive, price sensitive market with little or no regulation. Where SABMiller crafted an affordable opaque beer to reach the homebrew drinkers, Cookswell Jikos taps into the aspirations of the upwardly mobile with their branded quality. Either way, they’re bridging the informal with the formal in uniquely African ways to carve out whole, new markets.